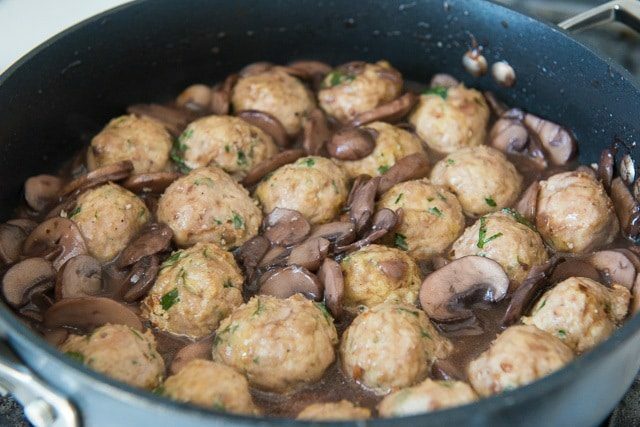 These Baked Turkey Meatballs are served in a red wine mushroom sauce for an easy, quick, and filling weeknight dinner. While there’s no childhood nostalgia in meatballs for me (can I please get a surrogate Italian nonna?! ), as a cook I really appreciate how quick, easy, filling, and comforting they tend to be. 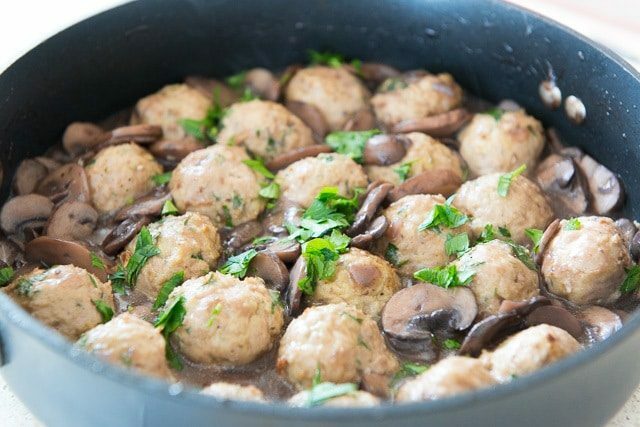 I like meatballs in all varieties but gravitate toward a rotation of the classic Italian beef and pork meatballs, turkey meatballs, and even vegetarian meatballs like eggplant & white bean. 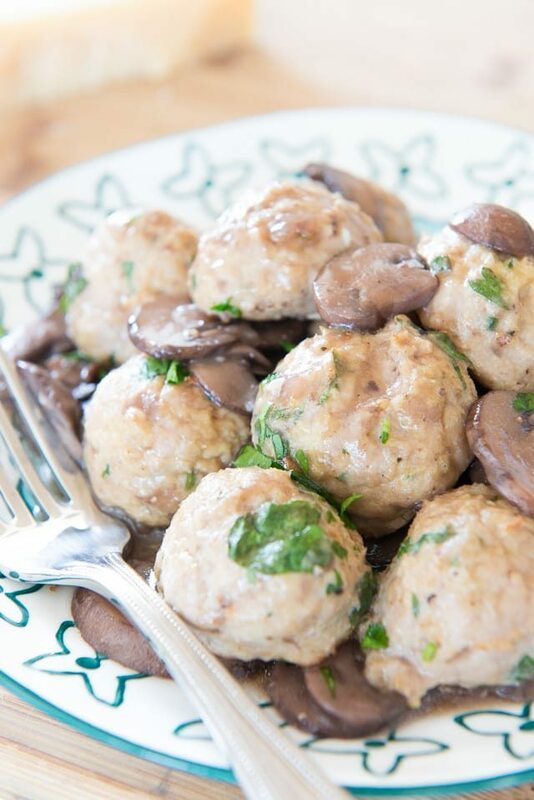 Today I’m sharing one of my favorite turkey meatball fixes. This is one of those recipes that you’d call solid, satisfying, simple, and perfect for dinner. 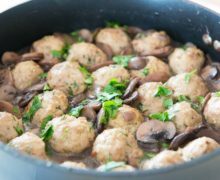 Here I serve the turkey meatballs with a savory mushroom sauce, which coats the meatballs with an earthiness and saltiness that I really enjoy, but you could certainly make the turkey meatballs and pair with your sauce of choice. 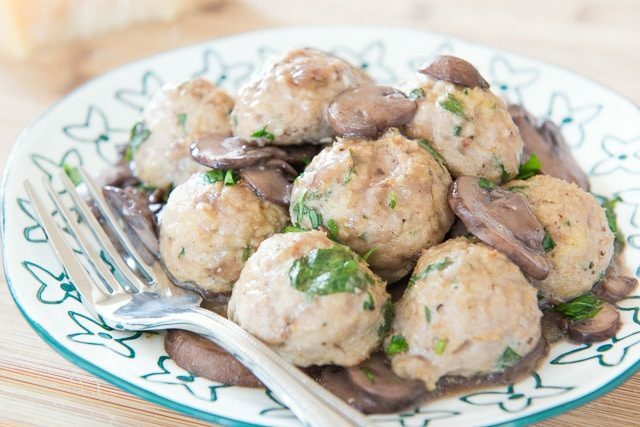 I have also enjoyed making the turkey meatballs plain without the sauce, to add them to salads. There are many ways to eat them! Using soaked panko breadcrumbs is my preferred bread component for meatballs, to give them a softer texture. If you’re accustomed to something else, like using a slice of white bread, you could certainly substitute that instead. 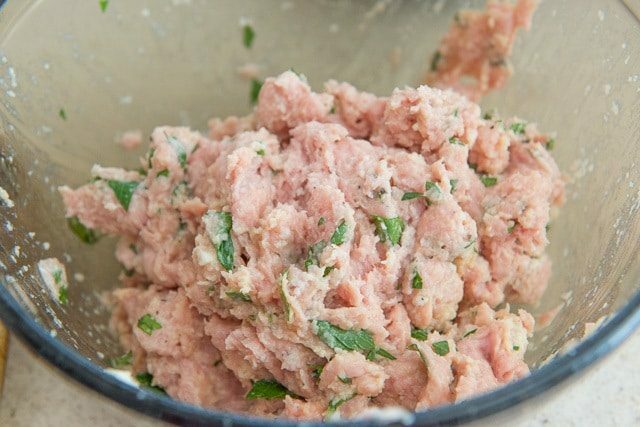 Portion the mixture into meatballs. Bake the meatballs in the oven, then make the sauce in the meantime. Cook for a couple minutes until the sauce thickens, then add the meatballs to the pan. They’re now ready to enjoy, and I like serving them with a side of Rice Pilaf. 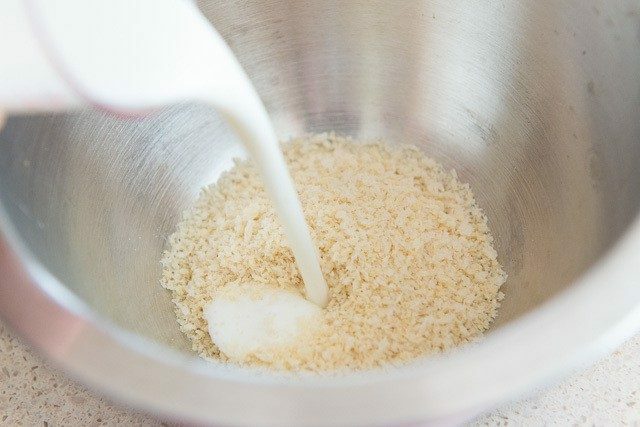 In a bowl, mix together the breadcrumbs and buttermilk. Let this sit for 5 minutes, until soft. 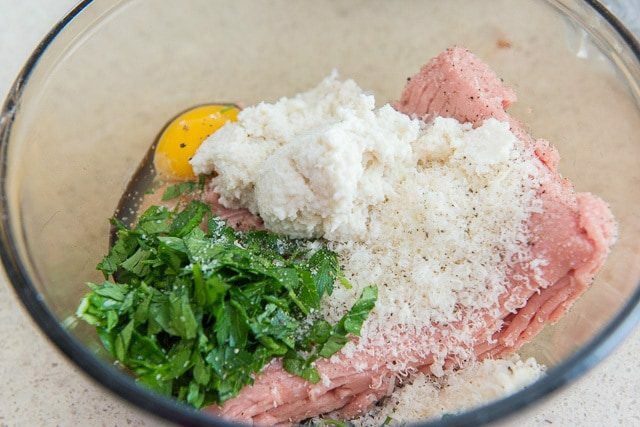 Add the turkey, parmesan, egg, parsley, the salt, and pepper. Mix this mixture together with your hands until the ingredients are combined, taking care not to overmix. 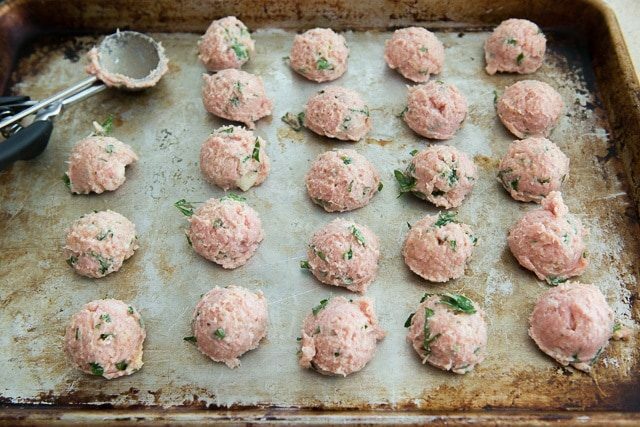 Use a cookie scoop to portion out the meatballs, and place on a sheet pan. Bake for 15 minutes, until the meatballs are fully cooked through to 160F. 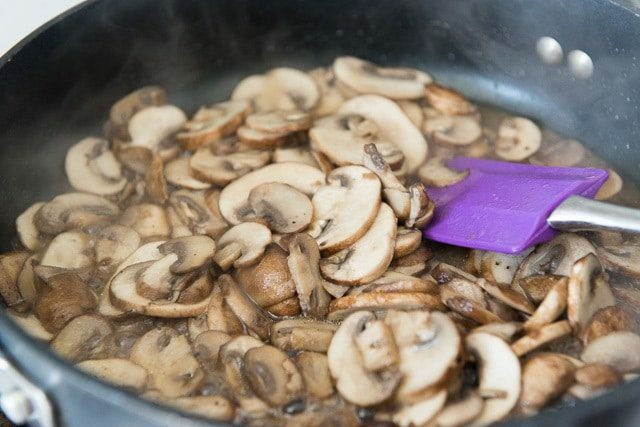 Melt the butter in a skillet over medium high heat, then add the mushrooms. 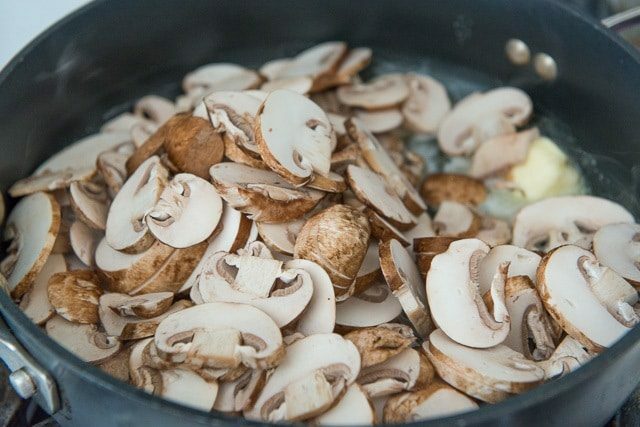 Season with a pinch of salt, then cook for about 5 minutes, until the mushrooms have softened. Add the red wine to the pan and cook for 2 minutes. 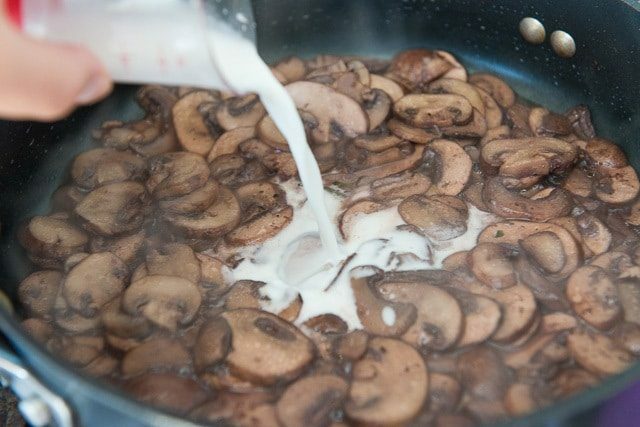 Whisk together the cornstarch and chicken broth to make a slurry, and add to the mushroom pan. Cook for 2 minutes, until the sauce has thickened. Add the meatballs to the sauce and cook for 2 more minutes, until the meatballs are also coated in the sauce. Serve and enjoy! Post updated in March 2019. Originally published September 2016. Hi Joanne, This recipe really appealed to me, so bought the turkey and mushrooms earlier today. My Italian background and training led me to alter a few things. 1. To turkey mixture, add about 1/2 tsp of garlic powder to existing spices. 2. To mushroom pan, added a couple of chopped garlic cloves, some parsley and some crushed red pepper, before adding the wine, and broth mixture. 3. 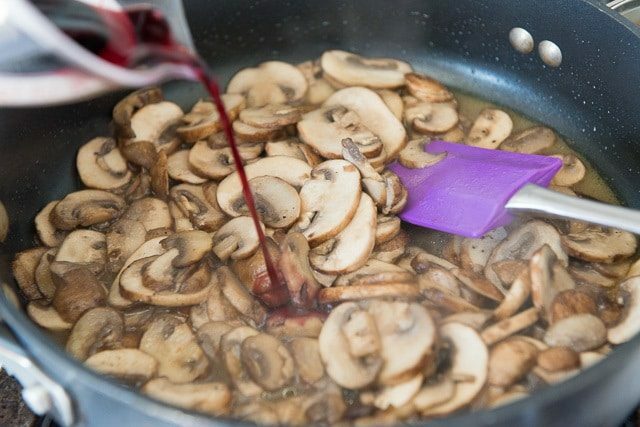 To sauce – used white wine instead of red. It was delicious – served it with a crunchy multigrain bread (heated) and a mache salad tossed with salt, olive oil and lemon juice. This will be on our standard rotation! Thank you so much…we loved it. Hi Elaine, I’m so happy to hear the meatballs were a hit!! I loved the suggestions you shared too and know others will appreciate them as well. My whole family loves this dish.